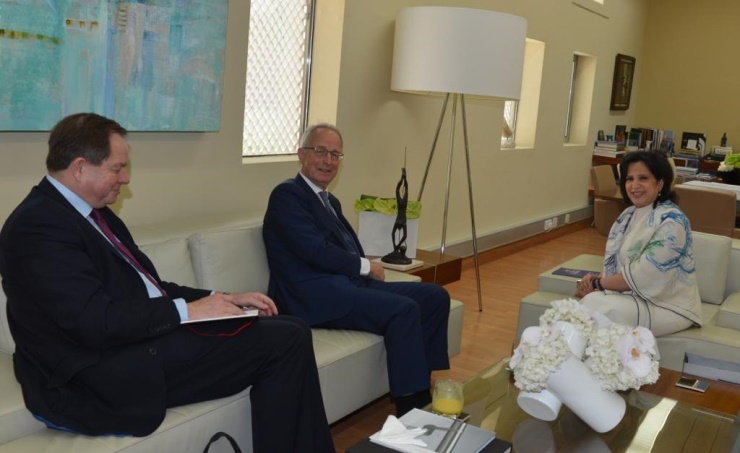 Manama, Sept.26 (BNA): Bahrain Authority for Culture and Antiquities (BACA) President Shaikha Mai bint Mohammed Al-Khalifa received Lord Richards and discussed planned strategy to promote the Kingdom’s historic vestiges in the region and the world. She welcomed Lord Richards and hailed his keen interest in Bahrain’s culture, focused on the Muharraq Capital of Islamic Culture 2018. She also highlighted the planned programme to celebrate the jubilees, which will be announced on September 27 at the Al-Khalifiya Library. Lord Richards hailed the role of the Bahrain Authority for Culture and Antiquities (BACA) to upgrade the Kingdom’s cultural infrastructure and preserve local identity.